My First Book of Amharic Words is a colorful fun journey into the introduction of Ethiopia's Amharic language. 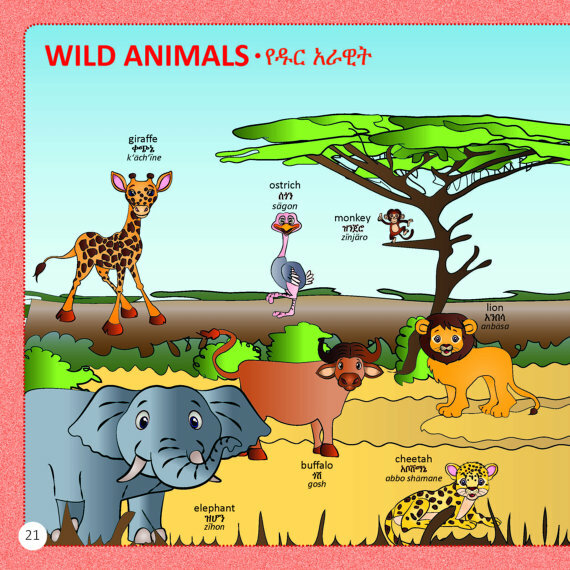 The colorful illustrations captivate and engaged while they build vocabulary and early Amharic language skills. Beyond the language component, My First Book of Amharic Words is a rich connection to an Ethiopian adoptee's culture. 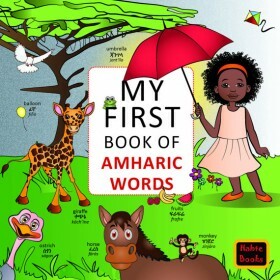 With themed-based collections of commonly used words, My First Book of Amharic Words introduces 400 Amharic words to readers of all ages. 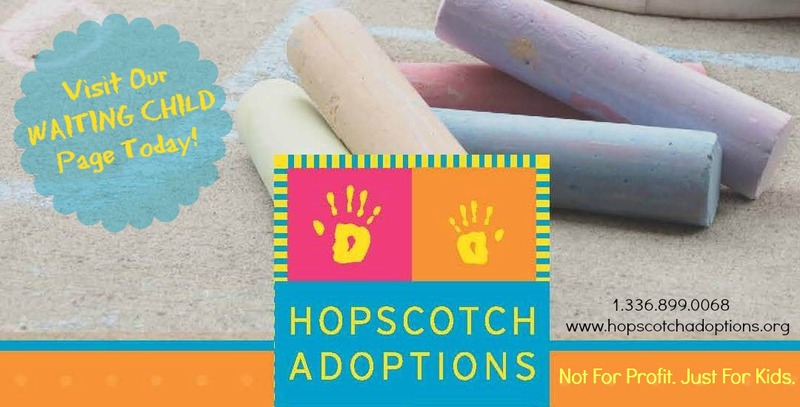 My First Book of Amharic Words is authored and published by Habte Books, a multilingual children's book publisher based in Addis Ababa, Ethiopia. Habte Books was established with a mission to promote a reading culture in Ethiopia through the creation of Ethiopian characters which children can easily relate to. Habte Books also collects and publishes folktales which pass through the generations to maintain the Ethiopian culture in the current generation across the globe. This is a perfect book to add to your bookshelf as you continue to build strong ties to the Ethiopian culture. My First Book of Amharic Words by Habte Books, published by Habte Books. 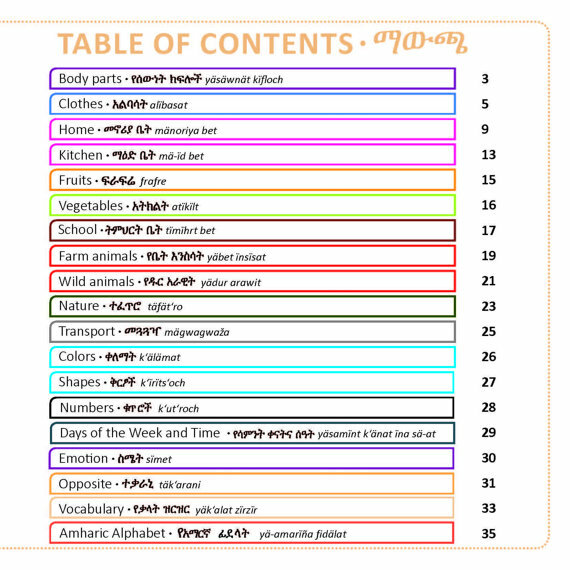 Source: My First Book of Amharic Words is available on Habte Books ETSY shop and Amazon!